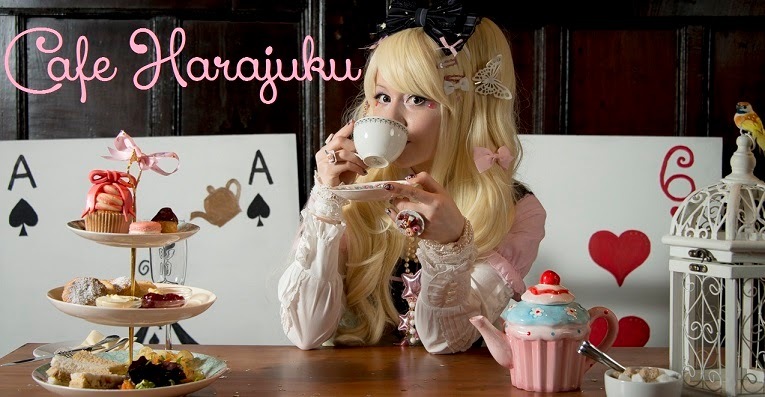 Love manga classics like Dragonball, Naruto and One Piece? Well then the Kourakuen Jump Shop will be your place to go. 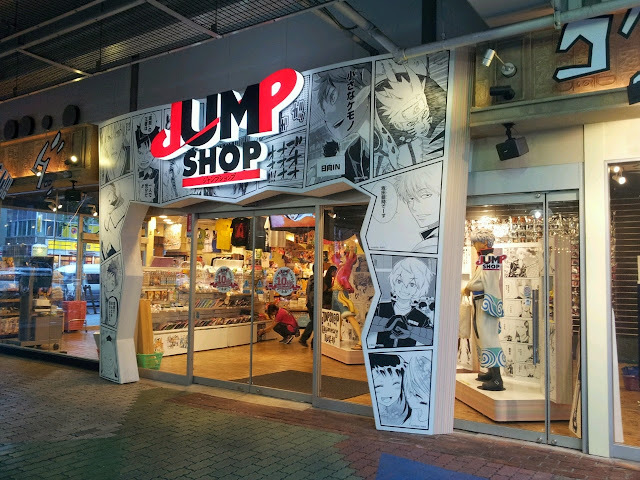 Right next to the TOKYO DOME AMUSEMENT PARK is where you can take a picture with some of your favourite Anime/Manga heros and shop yourself mad on Jump merchandise. 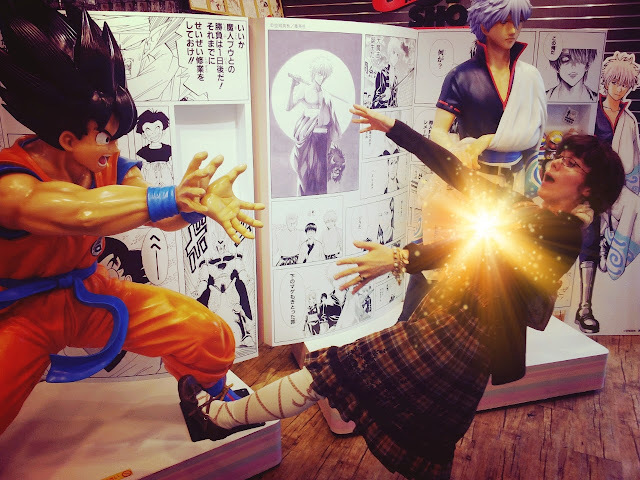 I stumbled upon it rather by accident, but the fact that you can take a Kame-hame-ha picture with Goku was just too tempting to let it pass. 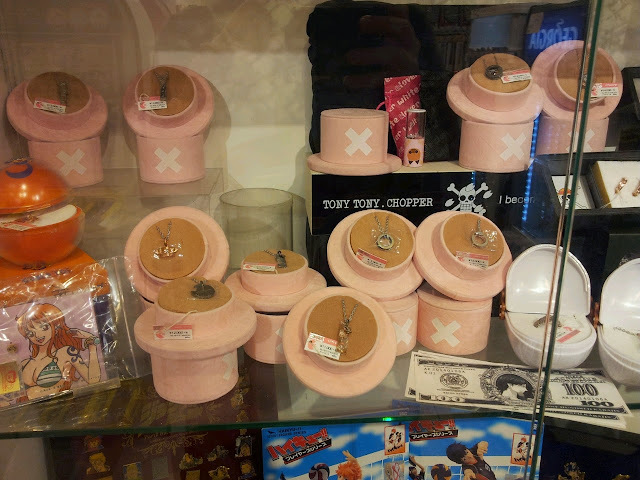 While many stores in Japan are quite strict (and often a real pain) about taking pictures in their stores, the Jump shop is a lot more lenient and it was a pure delight to take some snaps of the sparkly goods. 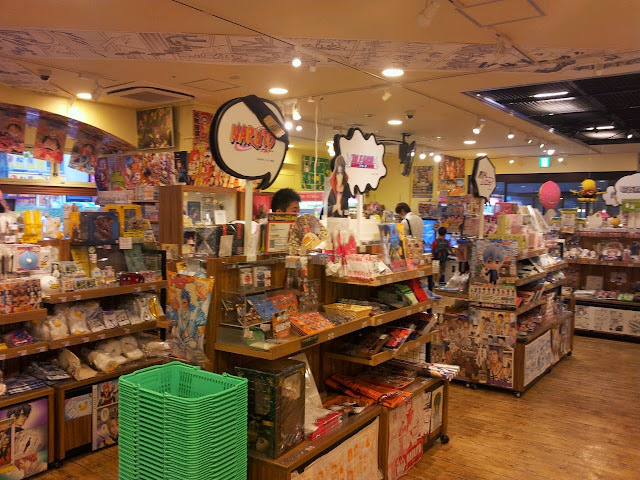 They sell pretty much everything from the shonen jump francise, from "classics" to newer pieces and for all audiences - from sparkly necklaces to boobie-mousepads. 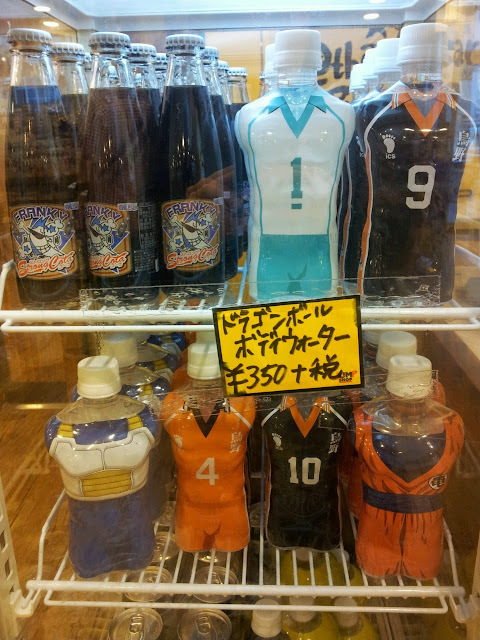 If you just want a fancy drink then they also have some special anime designed bottles in the shape of Dragonball characters and more. At the back are also some Crane Catchers. If you want to make a whole day out of it then you can get your ticket to the Tokyo Dome Amusement park right on the opposite of the Jump store and ride their Jetcoaster that even dashes through a hole in the near shopping center.